Based on the idea of Newtons Cradle, the putter supposedly gives you a more accurate strike towards the true centre of gravity of the golf ball. 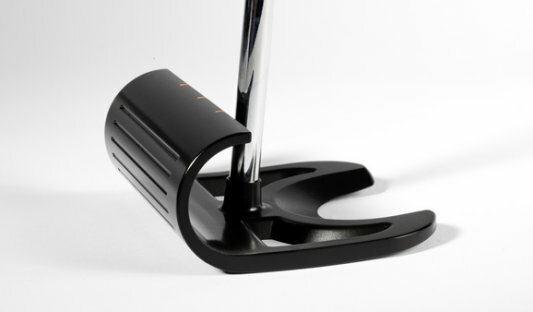 It appears that it will prohibit putts from striking the lower half of the ball, with the putter face having exactly the same radius as a golf ball. This entry was posted in Blog Post, News Stories and tagged golf, golf club, golf courses in, Golf Equipment, golf lessons, Golf Lessons West London, golf tuition, How to golf, james irons golf. Bookmark the permalink.